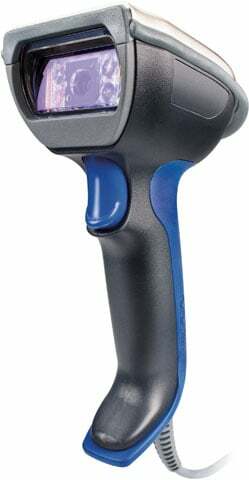 Intermec SR61THP - Tethered Scanner Kit (High Performance Area Imager EA30). Scanner Only - Cables and accessories must be purchased separately. These include USB (Part# 236-240-001), PS/2 (Part# 236-214-001), or RS-232 Serial cables (Part# 236-185-001) and a Power supply (Part# 851-089-205). The Intermec SR61THP-002 is also known as Intermec Technologies	INT-SR61TX13	or SR61THP002	.